Every single fall, I get the itch to make a bunch of maple leaf blocks. I've turned them into quilts a couple of times. Should I take on (yes) ANOTHER (yes) maple leaf project? (YES!). But I'm not interested in any old maple leaf quilt block - the one that makes my heart beat fastest is the so-called "Modern Maple" which is simply a few half-square triangles and squares. It's simple and beautiful (and Nicole at Modern Handcraft has a great tutorial, plus I used measurements from Sew Lux Fabric for smaller leaves). It's no secret that modern quilting is popular right now. The magazines and companies say it's a trend, but this kind of quilting is likely here to stay. Art forms evolve constantly, and there's something for all of us to enjoy; no matter what your style, it's still quilting, right? 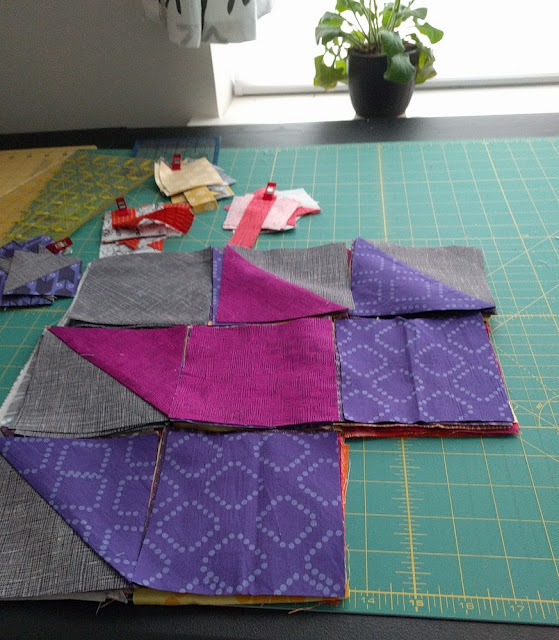 In my modern quilting lectures, I'm the first to admit that I'm not a minimalist (like, my pile of "minimalist" work is embarrassingly small - it's just not what I enjoy). If the piecing is minimal, I really cherish the process of detailed, often dense, quilting - because that's how I usually see the quilt come alive. To me, my latest fall quilt is modern because of the fabrics (deep but bright saturated colors, solids and tone-on-tone fabrics), background movement (fade from light to dark), slightly improvisational setting of the blocks, varying size/scale, and some negative space. All while using a well-known block that likely goes back many, many years. I can't wait to quilt it up! More soon! How do you merge modern with traditional in your work? Is it the fabric, design, or something else? Celebrating the glory of the sugar maples! 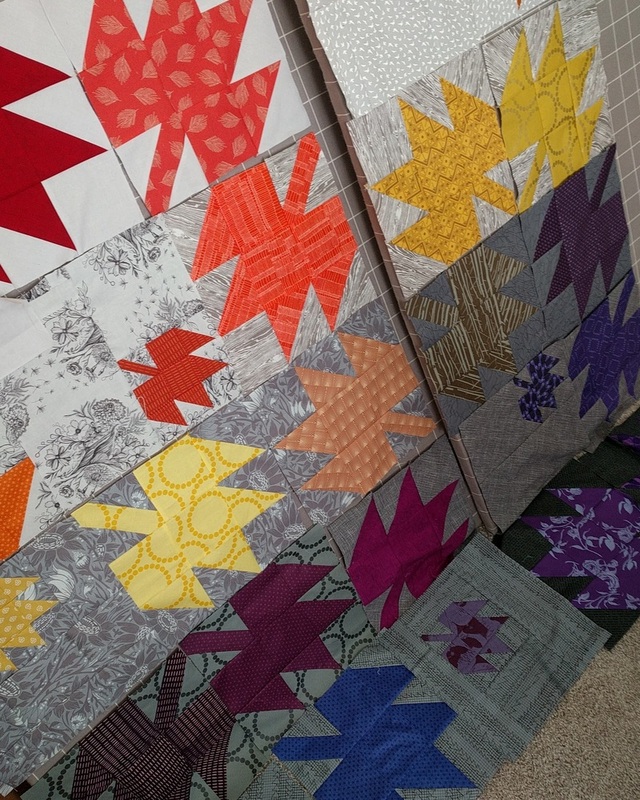 Maple leaf blocks in fun saturated colors is oh so wonderful. Looking forward to seeing what you create. 'Love your style as always. I also love traditional and modern both. Thanks for showing us how we can possibly merge the two. 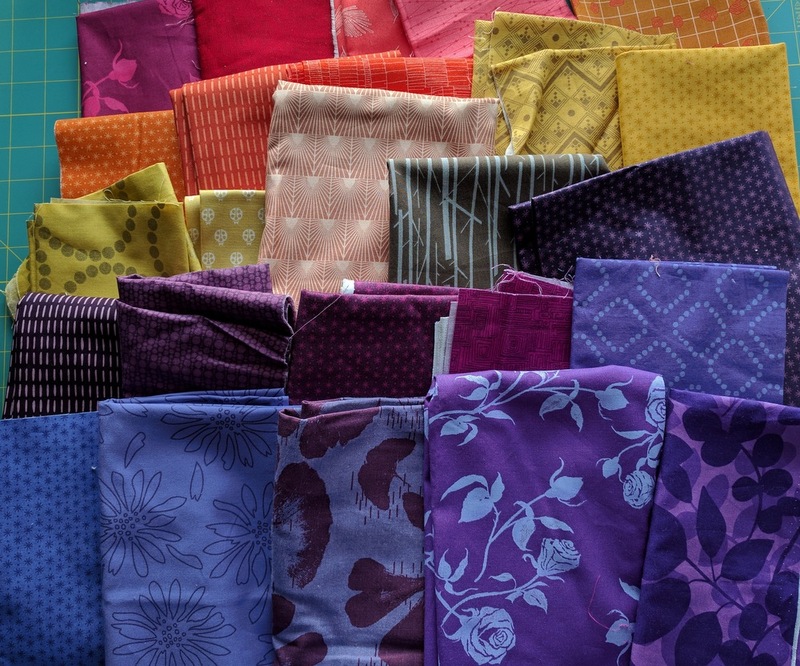 I am always thinking of ways, whether through fabrics or design. I can't wait to see this one finished. I think I'm in love. You had me with the color gradient the the background (was there ever any doubt about that???)!!! I'm excited to see the progress on this one continue! 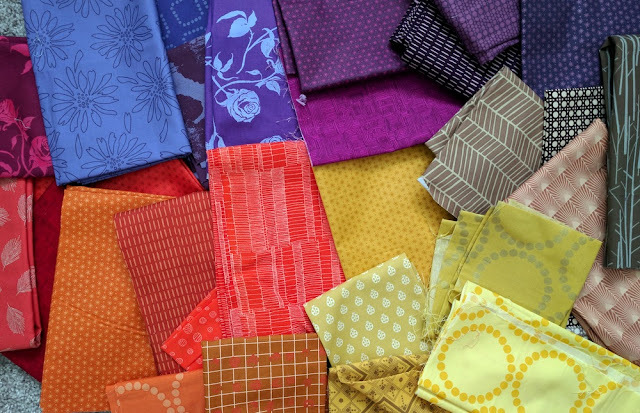 The best part about modern quilting is that it's open to a variety of options. It allows for flexibility a bit more. Love it... i'm in the same mode with fall colors spinning in my head. I want to make my mom a runner and she loves these colors all year long. She's fairly conservative and not someone who loves modern, but i'm trying to push her a bit. We are also from Canada, so the maple leaf always beacons me. Thank you for the inspiration and perhaps I have a design to begin with now. i meant beckon but that's an interesting faux pas! I am loving the colors and the gradient in the background. Love your colors. Can't wait to see the finish. 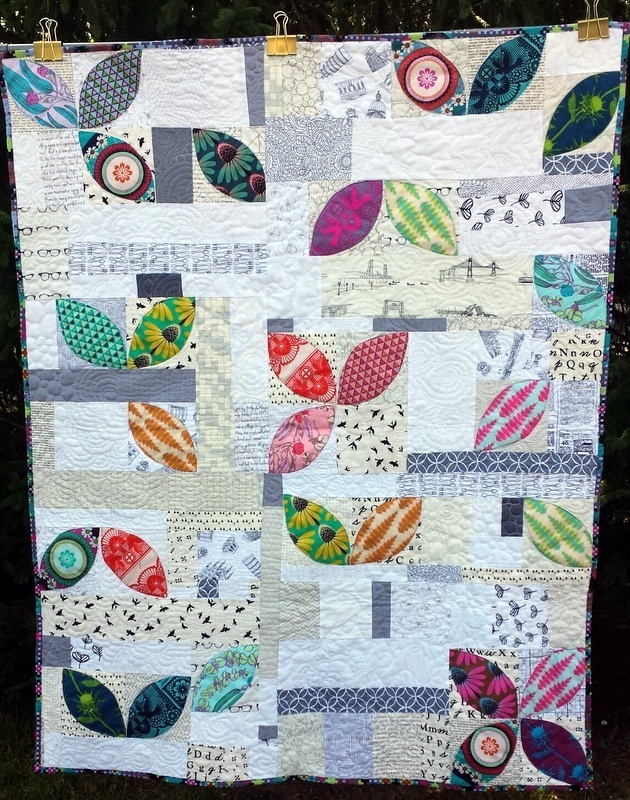 I love your maple block quilts and your Scatter quilt, too!